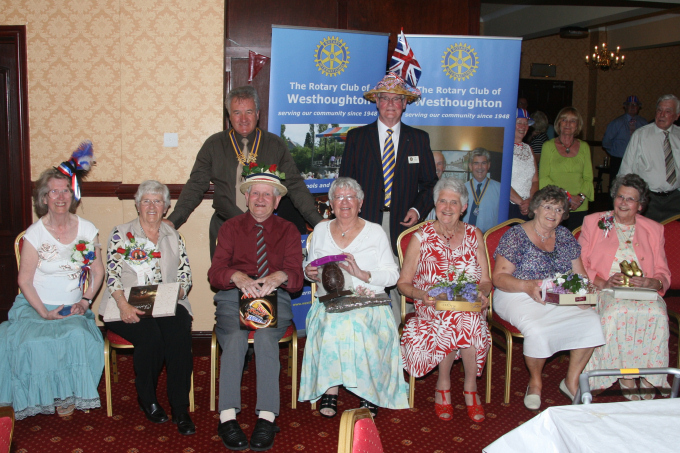 Community Service is the committee which organises activities within our local community, and supports other organisations and projects that serve our people in Westhoughton. Another major community event is the spring party for our Senior Citizens. 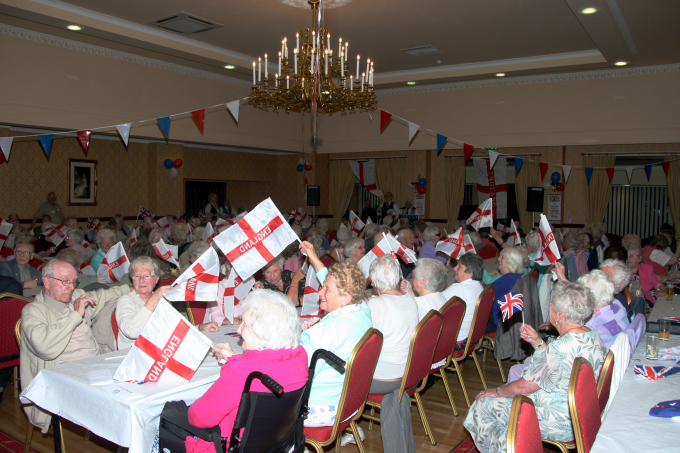 This takes the form of a Party with a St. George's Day theme for them, on the nearest Wednesday to 23rd April. We transport them, serve them with pie and peas, and make sure they have entertainment from a local School Choir, plus some comedy. At the end of the night comes the highlight - singing the favourite songs that they remember. And we get them home safely afterwards as well. A moment that many of the attendees enjoy is competing in the Easter Bonnnet and Buttonhole Competition. Other things that our Community activities embrace are to provide practical support to the Winter Watch food project for the homeless in Bolton and a variety of other groups.